Yes, simply spend over £50 online to get free UK shipping (not applicable to secondhand or some xlarge items such as SUP). We also offer free shipping on orders over £300 of kites, bars and boards to Europe (excluding solid SUP and Secondhand items). How can I find out how much it is to ship my order? Simply add items to your cart, then on the left hand side of the "cart page" there is a button which says "Shipping Estimator", click this and select your country. Your price will be displayed. Yes, we are able to ship most kitesurf items worldwide. Depending on the value of the items, we use courier (Interlink/DPD/Fedex/DHL) Royal Mail, and Parcelforce. Yes we ship to BFPO address' - if your address is eligible for VAT free pricing please contact us to arrange the paperwork for you. Do you sell package deals? Yes, we sell all sorts of Kite/Board/Bar packages - please contact us or select kite packages from the menu. We accept PayPal, credit cards, debit cards, bank transfer and cash. 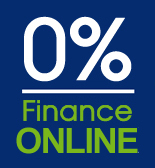 We also offer 0% finance too. How much stock do you keep? Lots! We are a kitesurf company and keep over 100 kitesurf kites and 75 kitesurf boards in stock. Yes VAT is included in the prices - if you live outside the EU, please create an account and then log in to automatically see VAT free prices. If you live outside the EU, the VAT will be removed from your online order automatically.